Because the political scene is so ambiguous, it is difficult to make any forecasts. 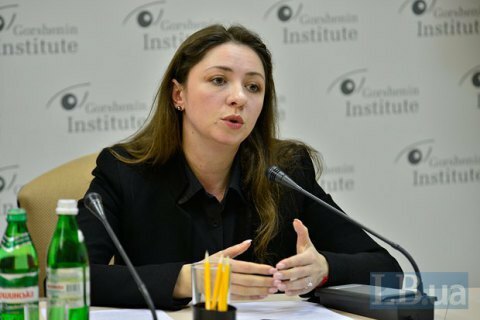 The Ukrainian society is split into those who want the current situation in politics to continue and those who demand cardinal changes, political expert Olesya Yakhno has said at a roundtable entitled "Relations between the authorities and society two years after the Revolution of Dignity" hosted by Gorshenin Institute. "A part of society believes that it is necessary to come to an agreement within the framework of existing opportunities, while another part believes that everything should be radically changed. When the government lives according to its own logic – when it is responsible for its decisions to the IMF requirements, parliament is concerned about possible early elections and ratings, citizens live in their own reality… There is no certainty within the political scene, thus it is impossible to predict what happens next. Hence the status quo is maintained." Journalists and experts discussed Ukrainians' social and political sentiments at an event hosted by Gorshenin Institute. In particular, journalist and Espreso TV presenter Vitaliy Portnikov believes all democratic parliamentary forces should be represented in a new government.